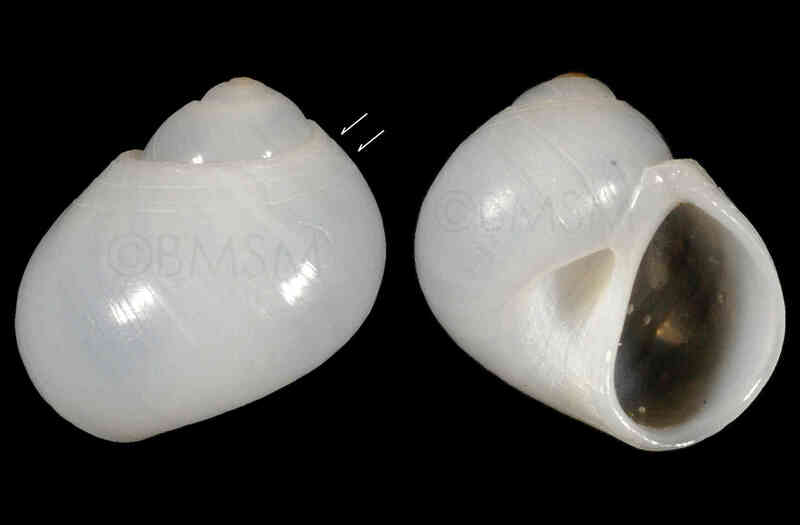 Shell size to 10 mm, shell ovoid-globose, glossy. Suture well defined. Sculpture of 2-6 widely separated, incised lines below suture (arrows). Umbilicus deep, without callus. Color white. Do not confuse with Polinices lacteus, which has a narrower shell with thicker walls and lacks the incised lines below suture.